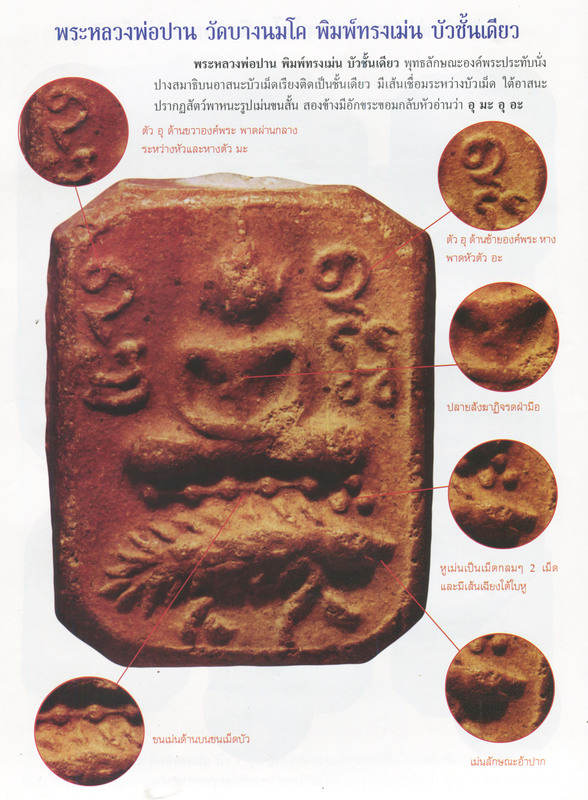 The Porcupine riding Buddha amulet of Luang Por Parn, was released in six different Pim (at least those which are accepted as Pra Niyom preferred category amulets).They are found in various coloured clays ranging from beige, brown, yellowish-white, reddish brown and terracotta red, as well as dark gray/blackish color. There are some other single tiered Dais Porcupine models (all Pim Niyom preferred), but which do not have the petals of the lotus, rather, have single thin curved lines or straight line Dais. 3. The spines of the mane of the porcupine connect with the base of the Lotus Dais in the centre. 6. 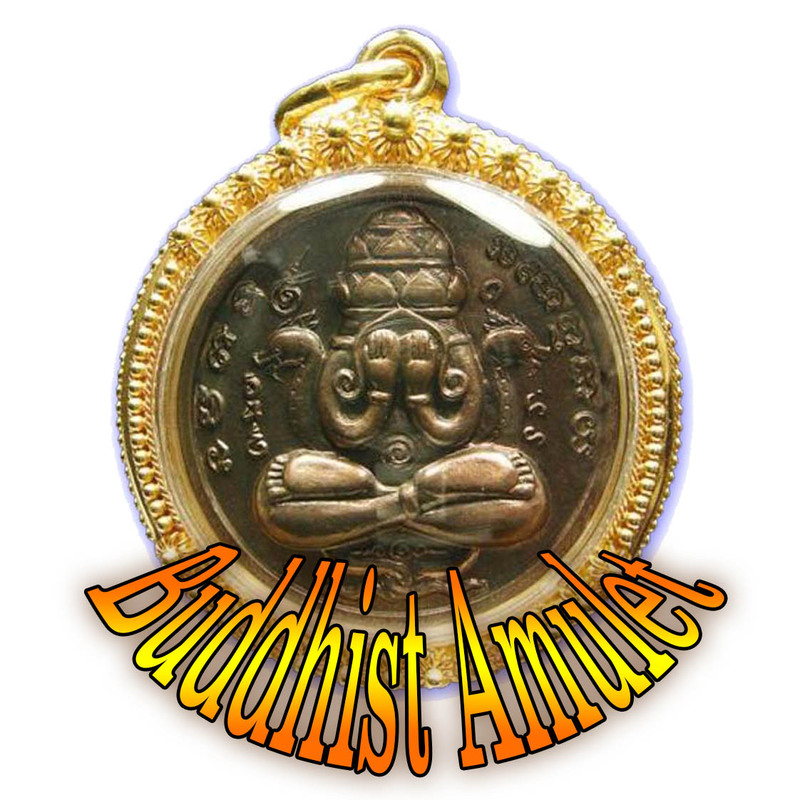 The “U” Khom Agkhara Lettering above the the Buddha’s right shoulder, flows down to float between the two upper tails of the Khom Agkhara letter “Ma”, without touching it.